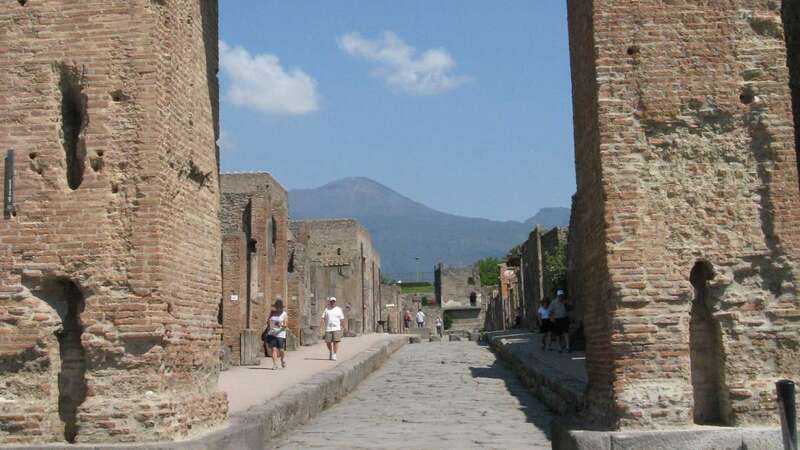 People living in Pompeii had no word for volcano in 79 AD; it did not exist in Latin. That lack, however, did not prevent Mount Vesuvius from erupting on August 24 of that year, killing thousands, transforming the landscape, and sealing a time capsule of life in a first-century Roman Empire port. Boulder-sized rocks shot skyward through a vent in the earth’s crust, along with clouds of ash and toxic gas. Rivers of fast-moving magma poured across a region inhabited by 20,000 people. 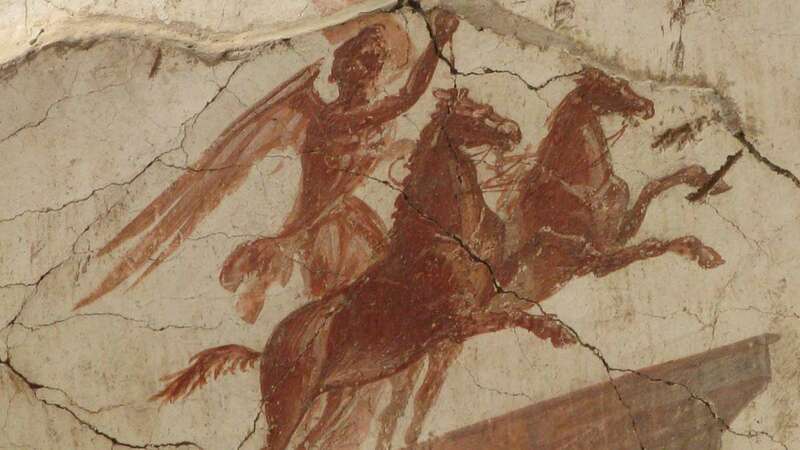 Some fled, but estimates say 15,000 may have perished in Pompeii and in Herculaneum, its smaller neighbor. By the end of the first day, Pompeii, five miles from Vesuvius, was buried, its buildings collapsed beneath six feet of ash and pumice. At times during the eruption, the air temperature may have reached 900ºF, with wind speeds of 200 miles per hour. Those who weren’t felled by rock, smothered by ash, or poisoned by noxious gases may have been boiled, bodily fluids turned instantly to steam. Ash-entombed figures hint at the sudden death many victims experienced. Within two days, Pompeii had disappeared. Herculaneum, closer to the volcano’s crater but upwind, received just a few inches of ash but was swallowed by pyroclastic (“fire-broken”) flows — magma, ash and mud. Ironically, the fast, superheated flow preserved structures as it incinerated them, simultaneously filling them as it carbonized the timbers from which they were built. Almost 17 centuries would pass before Pompeii and Herculaneum were rediscovered in 1748 and 1738, respectively. 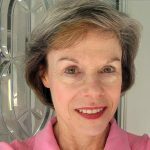 Together, they provide a window into the classical world that influenced 18th century European culture and continues to fascinate in the 21st. 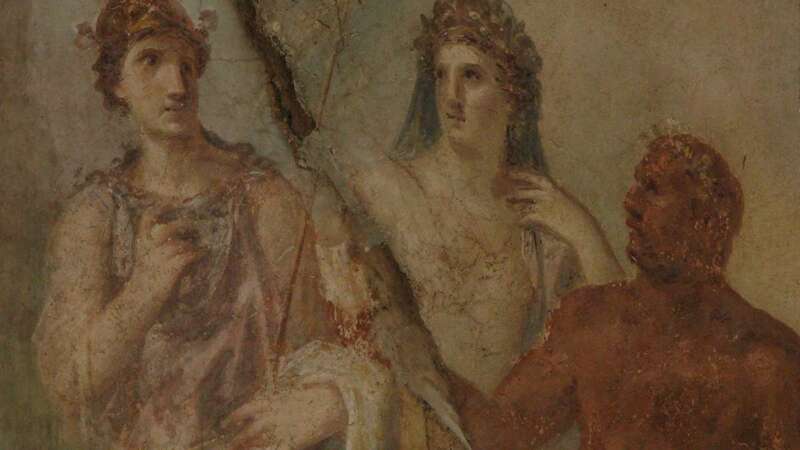 “One Day In Pompeii,” on view at The Franklin Institute, presents 150 artifacts from the Naples National Archaeological Museum to create a glimpse of Pompeii before the eruption. Bread was baking, tables were lain with the midday meal of fish and eggs. But the baker never returned and the diners never arrived. Everything that survived Vesuvius, however, allows us to discover much about their daily lives — a silver-ribbed pastry mold, delicate cups and plates, a shellfish spoon, tools used by engineers and physicians, weights and scales, jewelry, coins. 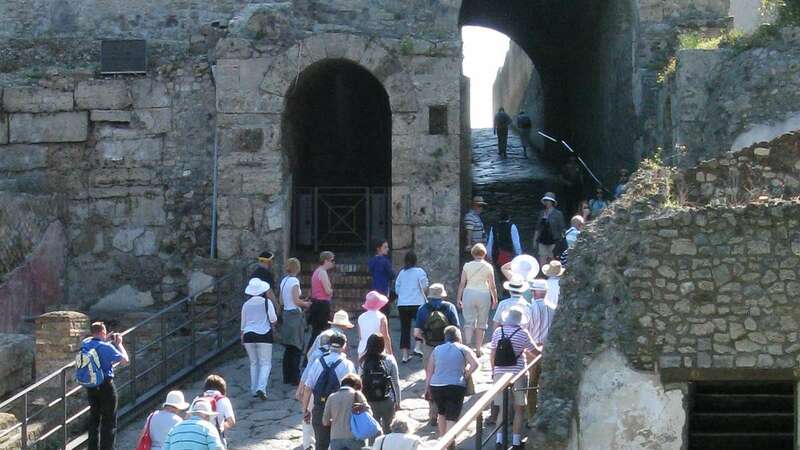 Protecting fragile remains at Pompeii, a World Heritage Site, while allowing access to scholars and tourists — 2.5 million every year — has been a subject of debate since the 1950s. 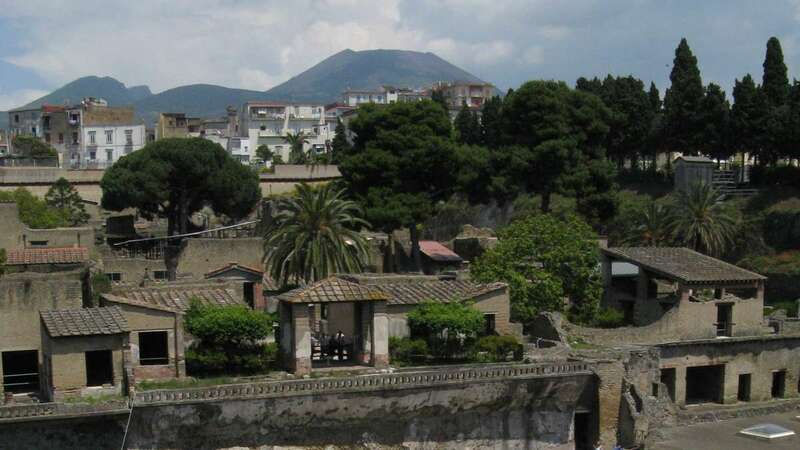 In 2008, the Italian government declared a one-year state of emergency to consider preservation and restoration of Pompeii, about two-thirds of which is excavated. Herculaneum is better preserved, being smaller, less exposed (one-third excavated), receiving fewer visitors and having not been crushed. Both sites, however, are vulnerable to weather, vegetation, pollution, and people. The cities destroyed in 79 AD were themselves built on an earlier volcanic grave. When Vesuvius blew in 1780 BC, called the Avellino eruption, it destroyed everything within 15 miles. Vesuvius has erupted more than 50 times (most recently in 1944) and remains active. The region, 80 miles south of Naples, is the most congested volcano zone in the world. According to History.com, the event that destroyed Pompeii released a fury equivalent to 1,000 Hiroshima-type bombs. If an identical eruption happened today, instead of 20,000 Roman citizens, 3.5 million people would be in danger. Despite vigilant monitoring and early warning, complete evacuation would likely be impossible, because much of the area is accessible only by steep, narrow, twisting roads. Southern Italy isn’t the only area threatened by a potentially active volcano. In January, “60 Minutes” reported that 200 million people worldwide live within volcano zones. Iceland is particularly abundant in geothermal energy, and is home to Eyjafjallajökull, which erupted over two months in 2010, disrupting air travel over much of Europe. More — and bigger — Icelandic eruptions are coming, “NOVA” predicted in a 2013 episode, “Doomsday Volcano,” because there are three threatening volcanoes near Eyja. That’s sobering, but Iceland seems remote, even to the well-traveled. A supervolcanic eruption would eject hundreds of cubic miles of lava, pumice, ash, and gas, and enough debris to circle the earth, block sunlight, change climates, interact with existing air pollution to form toxic rain, and cripple air traffic and everything depending on it. Three of our purple mountains contain the potential for fire-breathing majesty: on the California-Nevada border in Long Valley, Calif.; west of Santa Fe in Valles Caldera, N.M.; and Yellowstone National Park, in Wyoming. The Yellowstone supervolcano twice erupted at VEI 8, but they were both a long time ago: 2.1 million years and 640,000 years. Since then, the USGS says, there have been 80 or so “relatively” non-explosive eruptions, the last of those having occurred 70,000 years ago. Focus on the phrase “vanishingly small,” and try to forget that NASA probably has access to decommissioned orbiter craft in the event of a cataclysmic eruption. So as Yellowstone visitors sit around the campfire, they shouldn’t worry about volcanoes. They might instead ponder the 1,000 to 3,000 small but measurable earthquakes that occur each year in the park, one of the most seismically active areas in the United States. Or the hydrothermal systems, which are much closer to the surface than volcanic systems. They explode, too. Better just look up at the stars. I want to see Yellowstone while both of us are still here. So, repeating my new mantra — “vanishingly small, vanishingly small, vanishingly small …” — I made a reservation. Qué será será. Come summer, off I will go — hoping Yellowstone doesn’t do the same. If worse comes to worse, there will be some exciting vacation photos on exhibit somewhere a couple of millennia from now. “One Day in Pompeii” runs through April 27. Timed tickets available on site, by telephone (215-448-1200), and online. Hours:Sunday – Wednesday: 9:30 a.m. to 5 p.m.Thursday – Saturday: 9:30 a.m. to 9 p.m.